Recently I got a new gaming laptop ASUS FX504 for review. As soon as it booted, my first action was right-click, and it showed me the loading symbol on the pointer which never disappeared. Basically, the desktop screen froze, but the taskbar was working. Does that mean that a gaming laptop hardware can’t handle a simple right click? Well, the answer is obviously no as this is a software issue. So today we will see how to fix Windows 10 right click loading problem. This issue occurs mostly in Windows 10 with some faulty third-party services. How to Fix Windows 10 right click loading problem? Windows 10 can still have some issues based on the compatibility with other software. To fix this, I tried disabling startup apps and that didn’t work for me. The exact problem is, whenever I right click on the desktop, it keeps loading. After a few minutes, it shows me the right click options. This causes the desktop and the icons to freeze. So today we will fix windows 10 right click freezing problem. This solution worked for pretty well, and it should for you too. If your right click is not working properly then this solution will help you too. 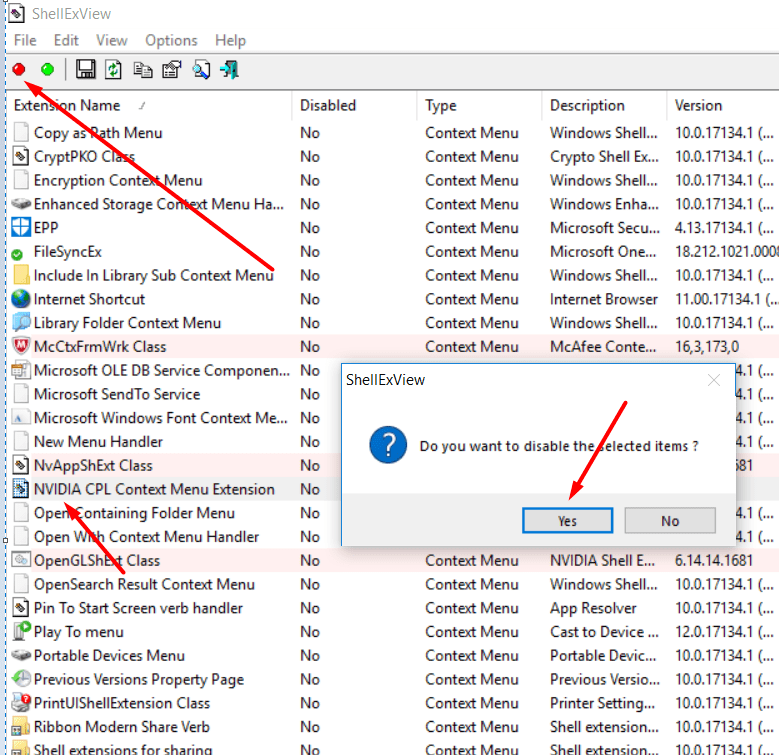 Download a software called as ShellExView for Windows 10 based on your OS. If you don’t know whether your OS is 32 bit or 64 bit, just right click on “This PC” and click properties. Unzip the zip file to a folder. 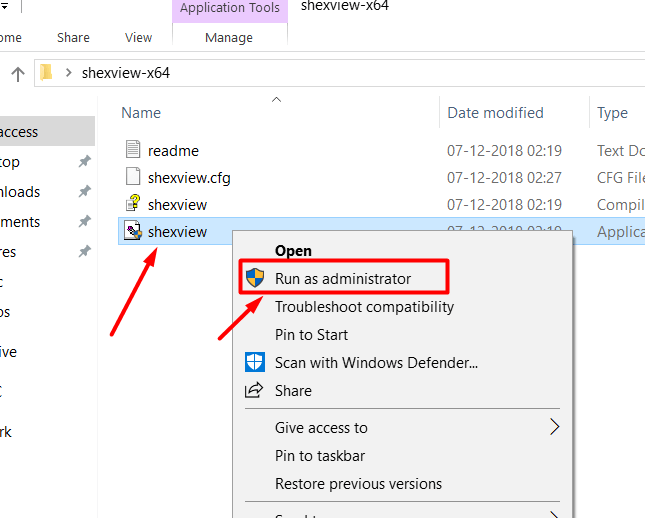 You will find the application ShellExView, just right-click on it and choose “Run as Administrator”. Press yes on the next prompt. 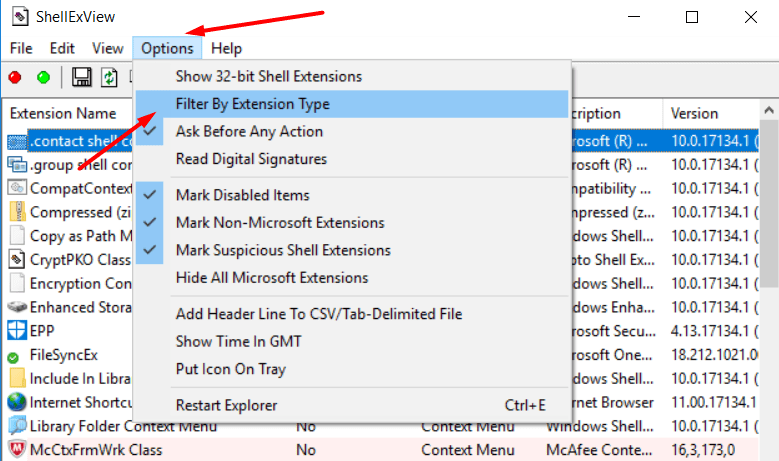 Click on options -> Filter by extensions. 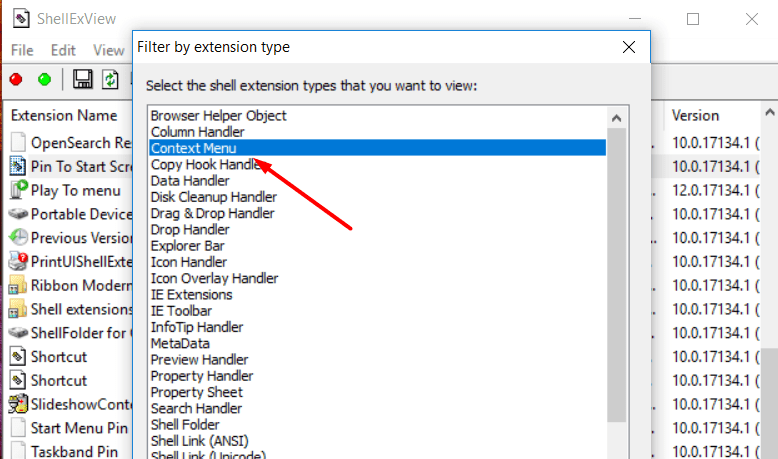 Select only the “context menu” option from the list and press ok.
You will see a list of services with a pink background. Those are the third-party services that might cause the issue. Disable all the third party services by clicking on them and selecting the red dot option. After you are done, go to options and choose restart explorer option. This is a mandatory step or the changes won’t reflect. Or else you can just simply restart the PC/Laptop too. 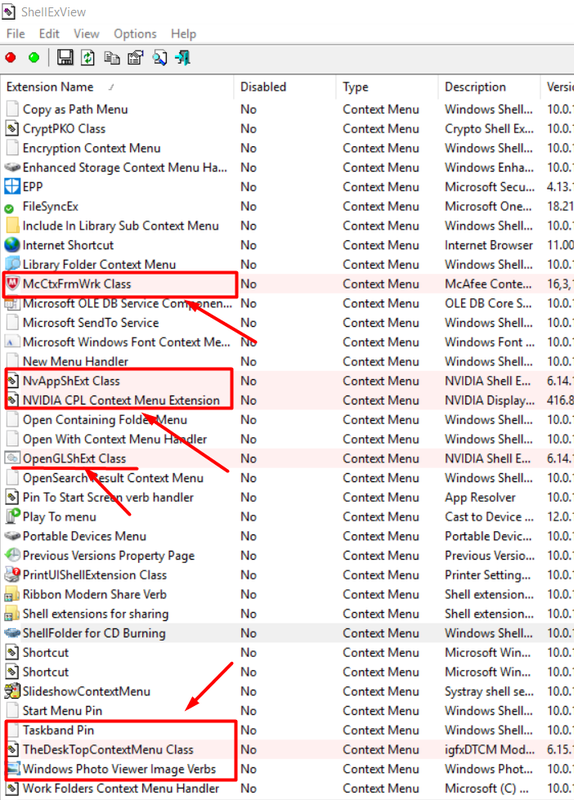 For me, the only service that was causing the issue was “NVIDIA CPL Context menu extension“. For you, it might be different. You can find that out by disabling one pink service at a time and restarting explorer each time. I hope this solves the issue of right-click freezing on windows 10. If the trick to fix Windows 10 right click loading problem worked for you then do share it with people in need. For any doubts please comment in the section below.